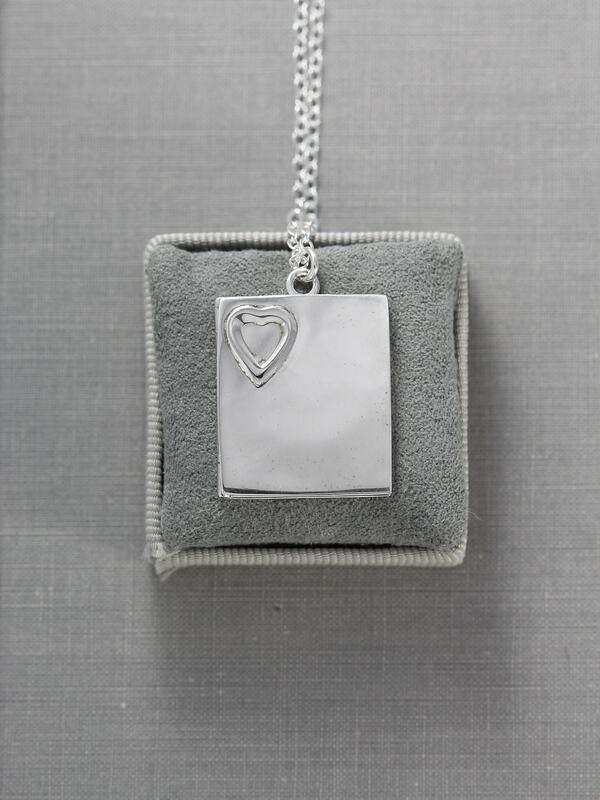 A unique book fashioned locket is polished with a smooth cover and back with a single heart in the upper left hand corner of the front. 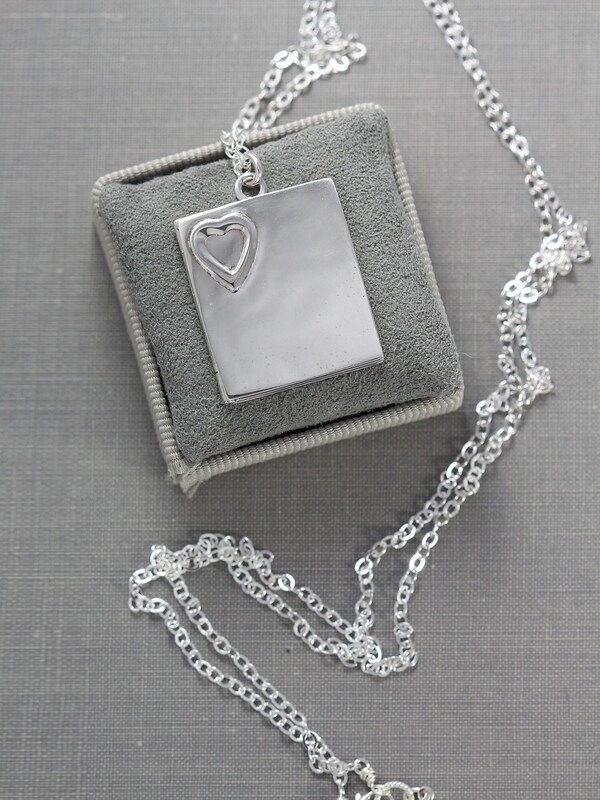 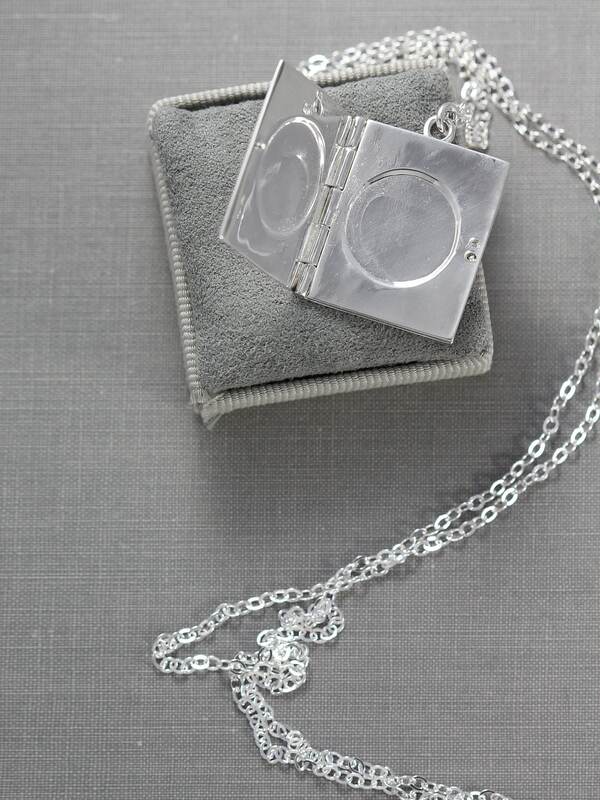 The locket opens to reveal a rare treasure of 4 picture frames waiting to hold your beloved photographs. 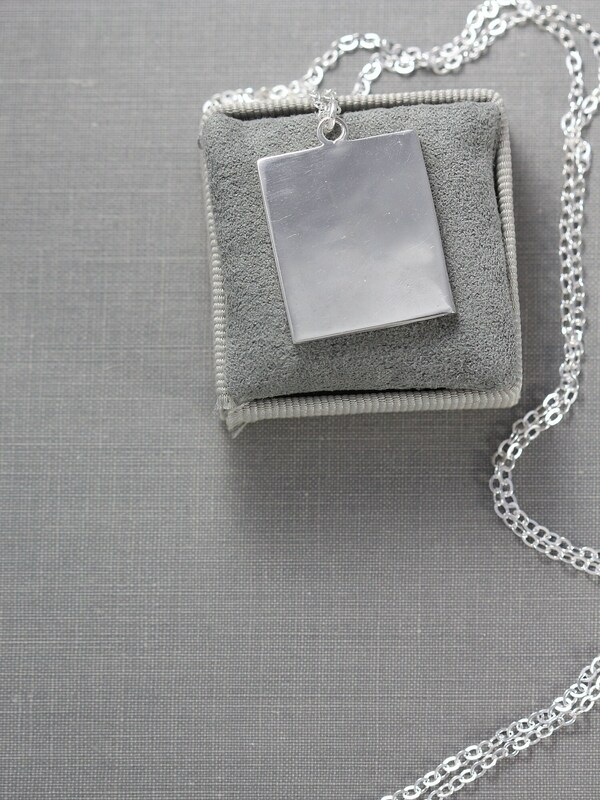 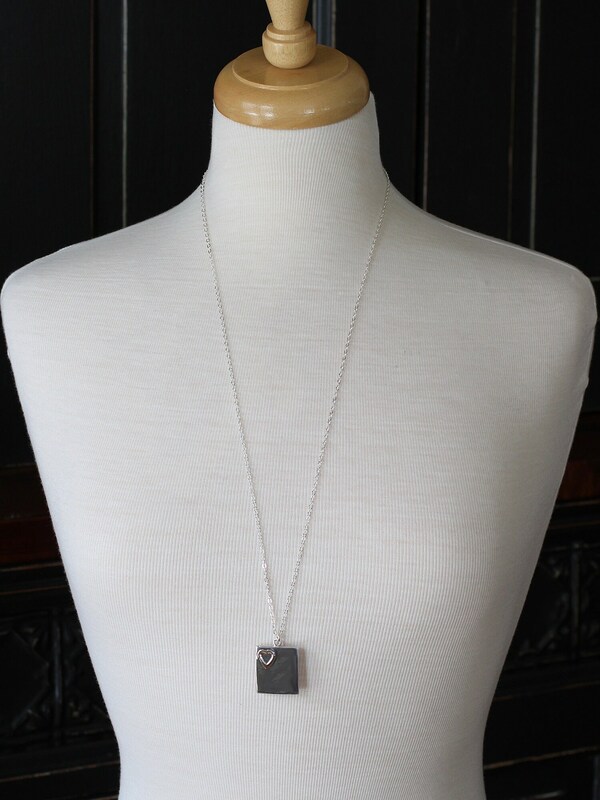 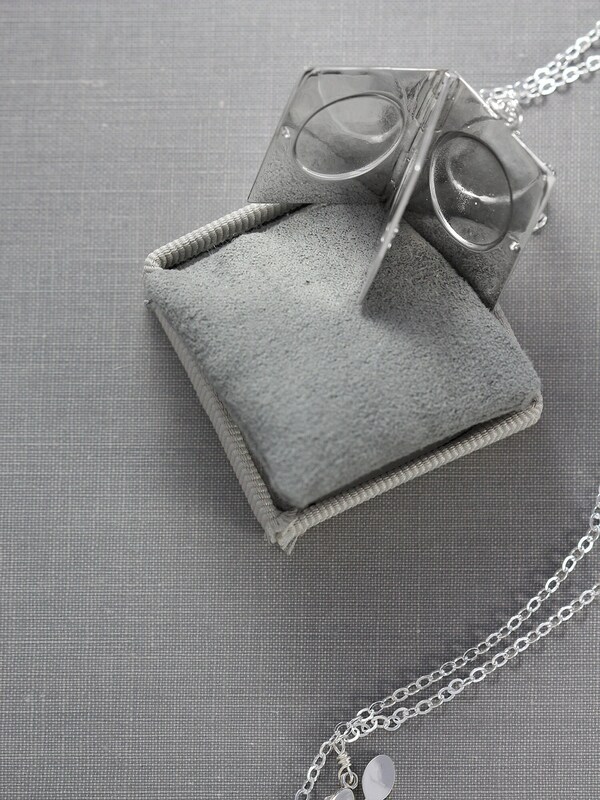 The book locket dangles from a long chain of sterling silver hand finished with a trigger clasp and ring.